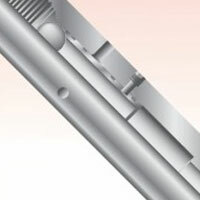 Schoeller-Bleckmann Non Mag Drill Collars are manufactured with a higher content of Chromium, Molybdenum, Nitrogen and other alloy elements to increase pitting corrosion resistance and stress corrosion resistance. Knust-SBD can manufacture all type of Non Magnetic Sleeves with a variety of Hard Facing options including Laser carbide overlay. Non Mag X-Over Subs, Saver Subs, UBHO Subs, Stabilizer Mandrels and all types of Non Magnetic Tools can be manufactured by our Singapore facilities. 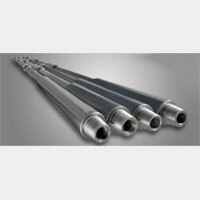 Knust-SBD’s offers the complete Schoeller Bleckmann Non Magnetic material portfolio including P530, P530HS, P540, P550, P650, P670, P670HS, P750, P750HS and N850. 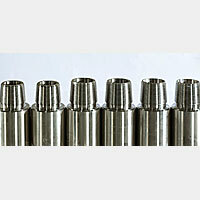 A large inventory of material is available ex stock Singapore. 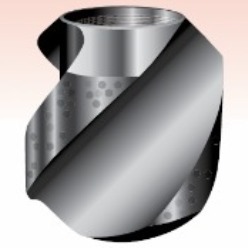 Darron Oil Tools alloy stabilizers are manufactured from AISI 4145H Modified steel and can be provided in a variety of configurations including straight blade, 210, 270 and 360 degree wrap. 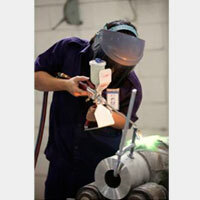 Hard Facing can be customized to meet your individual requirements by our experienced welders. 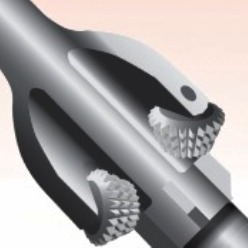 The Darron Oil Tools DR Model 60 Series Roller Reamer is a Non Sealed Bearing Roller Reamer that can be provided in sizes from 5-7/8″ to 34″ and can be fitted soft, medium and hard cutters depending on your application. The Darron Large Range of Hole Openers are designed specifically for big hole applications and are a simple but rugged design. 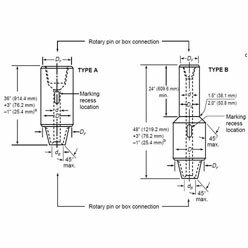 Excellent circulation is achieved by strategic placement of nozzles and Cutters are available in soft, medium and hard types. 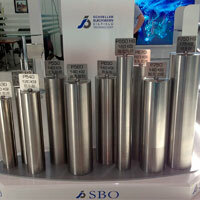 Knust-SBD offer a complete range of Hardfacings to suit all drilling conditions. 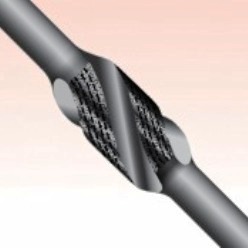 Worldwide experience has assisted us to develop improvements on wear characteristics and matrix hardness in addition to extensive in-house research in bonding. 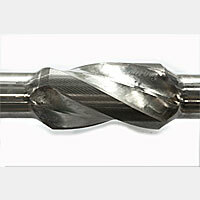 Laser Carbide overlay is also available on a wide variety of products. 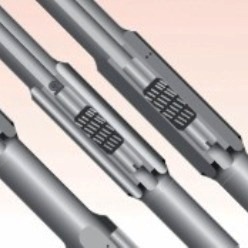 The DRS series reamer is designed to give maximum rotating hours downhole and to minimize rig time whilst changing over assemblies. 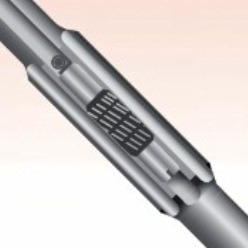 This is achieved by rugged but simple construction with the addition of a lubricated and sealed bearing system. 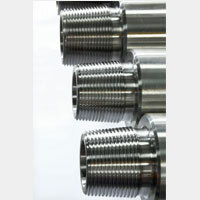 The Darron Sleeve Type Stabilizer Mandrel is available in either string or nearbit configurations and is produced in a full range of hole sizes. 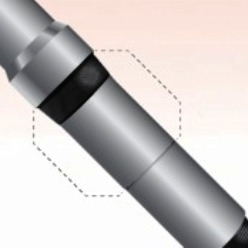 The integral design eliminates the need for internal connections and is engineered for easy make up at the rigsite. 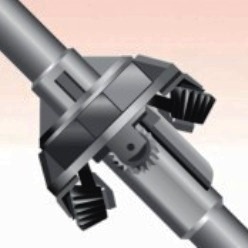 Darron Stabilizer Sleeves have been designed as rig-replaceable units to help minimize inventory and to mitigate logistics difficulties that could be associated with integral blade stabilizers. 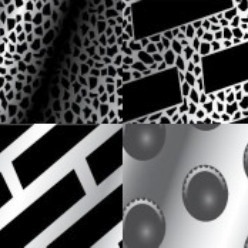 The full range of Darron hardfacing can be applied to the sleeves. The Darron Circulating Sub is a single activation type drop ball circulating sub that can be used for a variety of drilling applications including drilling, fishing and coring.